Finca Besaya is ready to party! And the Russian New Year celebration is already a tradition! So here is what waits for you on the evening of Saturday, January 13th of 2018. Come and celebrate with us! 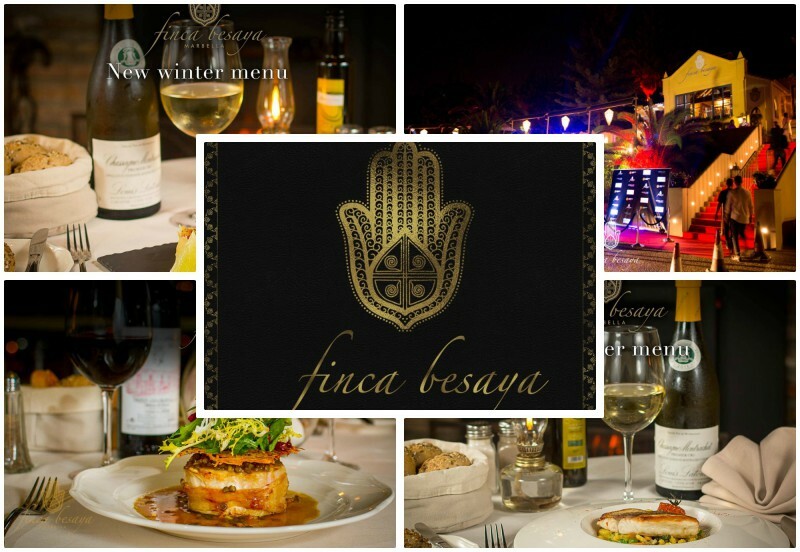 The night will open with Finca Besaya’s classic welcome champagne and canapés while you will enjoy a time with full entertainment at the hands of the very best of Marbella. The glorious menu that waits for you this nights consists of pumpkin velouté with boletus and langoustines followed by an amazing gravlax of wild salmon with pea cream and onion pickles. Then you can enjoy a tasty lemon Coronel with vodka followed by a grilled sirloin medallion served with creamy polenta with “petit basqué” cheese and stewed juice. Closing the meal with an amazing chocolate praline. 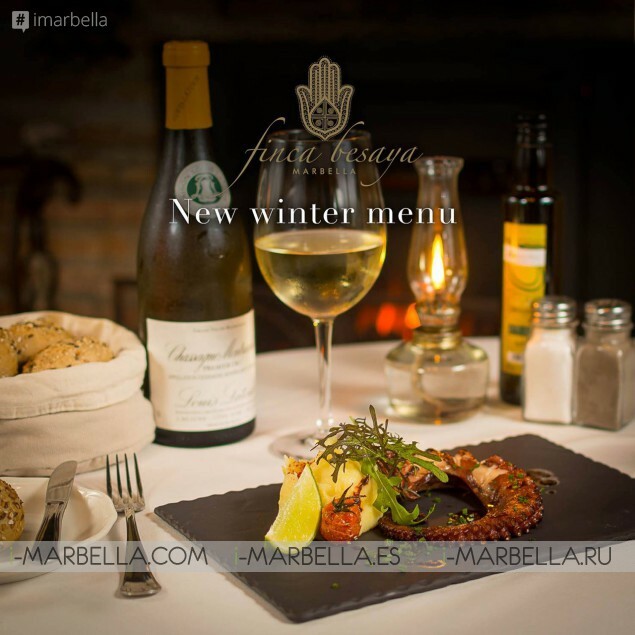 For this elegant and expected evening, the price is of 100€ with drinks not included. 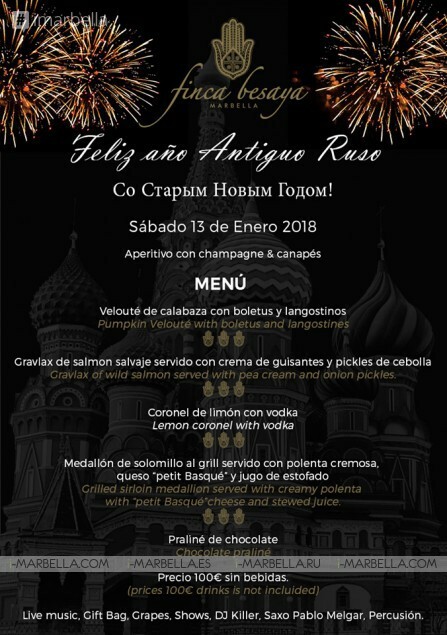 So come with us and enjoy an amazing Russian New Year by the lead of Finca Besaya’s style with live music, gift bags, a night show by DJ Killer, Saxo by Pablo Melgar and Percussionists.